- Studying Bachelor's degree in Architecture is required. - Ability to use either PC, CAD, Sketch up, Photoshop and illustrator. - Willingness and aptitude to learn about the hospitality industry. - Proactive, organized approach to multitasking. - Creative and strong problem-solving skills. - Good command of English & Thai. - Develop architectural framing designs. - Coordination with material suppliers and contractors. - Coordinate with construction team and related team to develop design solutions. - Coordinate the graphic design, marketing, together with the other parties involved. 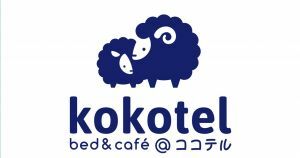 - Develop and implement Kokotel- s brand standpoint to match target and site-specific culture and conditions. - Work with construction team to enhance our visualization and modeling skills across the company- s concept. - Design skills hotel and resort design. - Learn about estimate cost for construction. - Learn with the specialist each part operations. - Interior, Architecture and landscape for hotel and resort. - Kokotel T-Shirt 1 pcs.